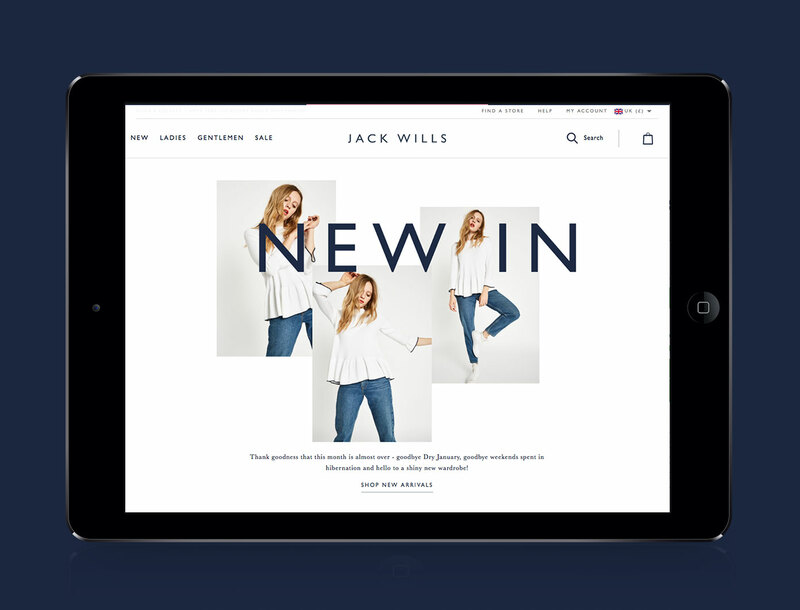 I worked for the Digital Design team at Jack Wills for 2.5 months in-house. 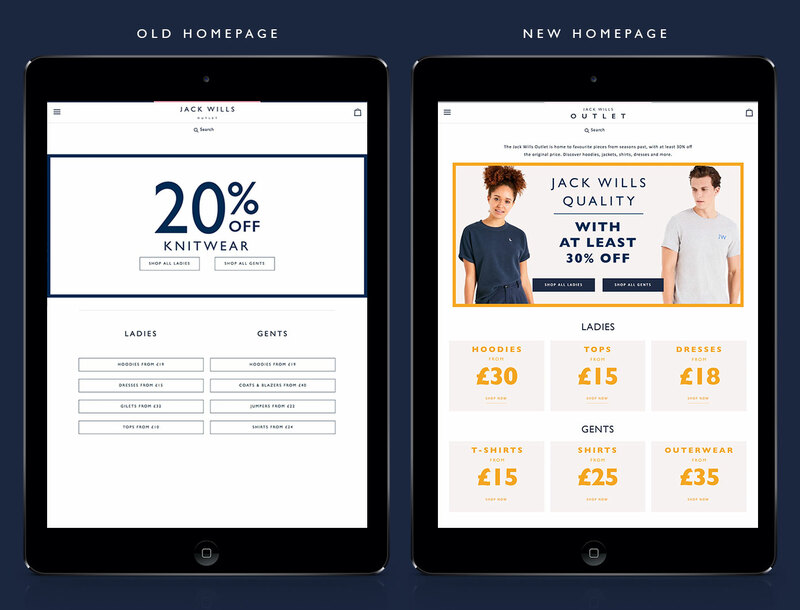 My main project was the redesign of their outlet site to differentiate it from the main website while making the pricing message clearer. I also worked on BAU, social media assets, new arrivals pages and created their Valentine's Day campaign.